A global internet puzzle that requires advanced computer skills to solve has reopened online. 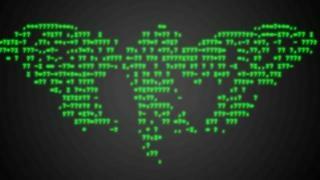 It is the third year running that the mysterious Cicada 3301 has appeared, with no clues as to who is behind the puzzle. Some believe it is a recruitment process for a government spy agency, while others believe it could be the work of a bank. The puzzle takes people on a treasure trail around the so-called dark net. This year's competition was announced via a Twitter account to which was attached an image file with the following message: "Hello. Epiphany is upon you. Your pilgrimage has begun. Enlightenment awaits. Good luck. 3301." Thousands of fans have been drawn into the competition and have eagerly awaited its relaunch. This year's iteration already appears to be fiendishly difficult, requiring understanding of OutGuess, a complex steganography tool. Steganography hides data inside images, and is often used for nefarious purposes by terrorists and paedophiles. Computer scientist Prof Alan Woodward is one of those who has previously taken part in the competition. "The puzzles are very complicated and require knowledge of steganography, cryptography as well as obscure existential texts," he told the BBC. Previous competitions have taken people on both a mental and physical journey, encompassing cyber-punk literature, Anglo-Saxon runes and the work of occultist and magician Aleister Crowley. Last year, part of the treasure trail also required people to travel to physical locations to decode QR codes posted on telegraph poles dotted around the US. Now that the competition is widely known about there has been a spate of fakes but for those with the necessary knowledge it is easy to spot the real thing. "The group uses a PGP signature and put up a key signed with this," explained Prof Woodward. Media captionKenny Paterson: Internet puzzle "could lead to recruitment"
Speculation about who is behind the puzzle has been gaining momentum as the competition attracts more publicity. "It could be a criminal organisation looking for recruits or it could be a start-up looking to set up a new crypto-currency, possibly even a bank," said Prof Woodward. "Lots of people think it could be a government agency and that looks reasonably likely as whoever is being recruited isn't telling anybody afterwards," he added. It is similar to an online competition posted annually by UK agency GCHQ, as part of its recruitment process. Its 2013 competition consisted of 29 blocks of five letters which had to be deciphered. Those who successfully completed the initial test were invited to take part in a hunt around the net, which they had six weeks to finish. Cicada is far more complicated though. "Whoever is behind it has put an enormous amount of effort into it. It is someone with quite a lot of resources or a lot of time on their hands," said Prof Woodward. The puzzle has intrigued so many people since it opened in 2012 that some have started to crowdsource answers. It has led to the creation of a Cicada wiki on which puzzle solvers are invited to post significant leads and clues. Already solvers have unlocked the first clue to this year's mystery and posted the riddle they have uncovered. "The work of a private man who wished to transcend. He trusted himself to produce from within." Prof Woodward himself has never solved the Cicada puzzles. "Frankly I got bored with it, especially when it started getting into Irish poems I knew nothing about," he said. An unknown number completed the first two tests which eventually led to an address on the dark net. The competition organisers later posted a message which read: "We have now found the individuals we sought."